This is a very typical Italian family recipe where the meat is braised in a large quantity of milk. 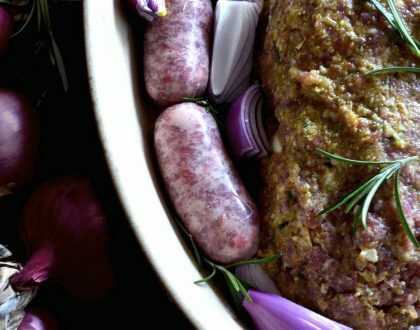 Instead of turkey you can use pork or veal loin : the result will be a very tender meat in a delicious sauce made with milk and fresh herbs, even better the next day. Season the meat very well with salt and pepper. 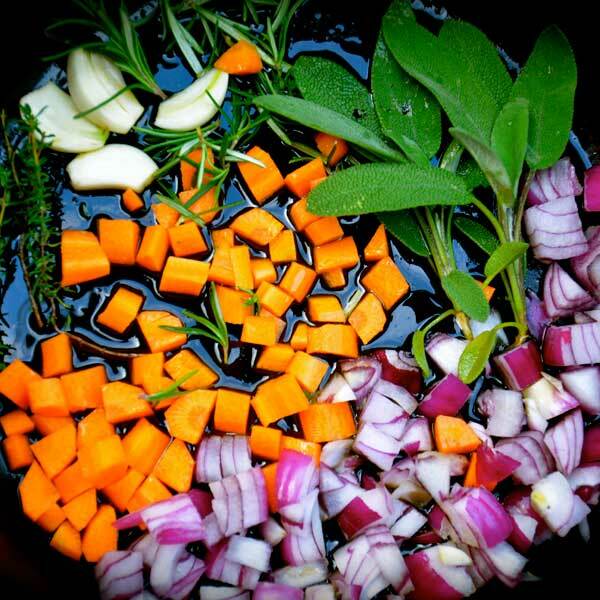 Heat oil in a large heavy-bottomed saucepan over medium-high heat and sauté carrot, onion, garlic, sage rosemary, thyme in extra virgin olive oil for few minutes. Add the meat and sear it on each side. Pour the milk in with the meat until it reaches about half the loin. Cook for about 40 minutes turning the meat every once in a while. When meat is cooked place it on cut board and let it sit, it will be easier to cut. Put the sauce (along with the herbs and chopped carrot and onion) in a small food blender or use a hand blender to get a smooth sauce. Slice the meat, pour over the milk sauce and serve.